(Bloomberg) -- Packaged food may not be in a great spot, but Conagra Brands Inc., armed with its recently acquired portfolio of Pinnacle Foods labels, believes it has a solution: Spiralized zucchini. Chief Executive Officer Sean Connolly said the company is focusing on carb replacements for Pinnacle’s frozen vegetable brand Birds Eye. The business had already started to capitalize on rising consumer demand for products like cauliflower rice -- but can go further in that direction, he said in an interview. Conagra is laying out its plans for the troubled parts of Pinnacle’s business, which include Birds Eye, cake-mix maker Duncan Hines and salad-dressing brand Wish-Bone, which it acquired last year in the $8.1 billion deal. 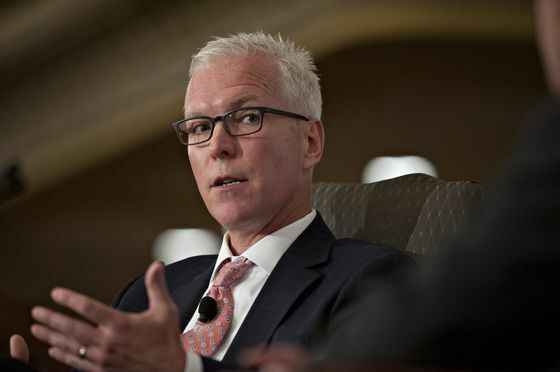 Investors seem to approve -- they sent Conagra’s shares up the most since 1989 on Thursday after the release of quarterly results showed the integration is on track.